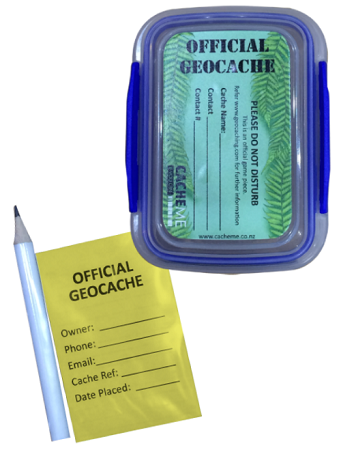 After a cache container that will allow for a little swag, pencils and logbooks. Well you can't go past the 200ml sistema. We have one all kitted out and ready to place. Do away with the hassle of sourcing all the bits an pieces to build and buy complete. 1 x medium waterproof log (45mm x 70mm) with room for 126 log entries + 1 FTF page as designed by CMIYC.